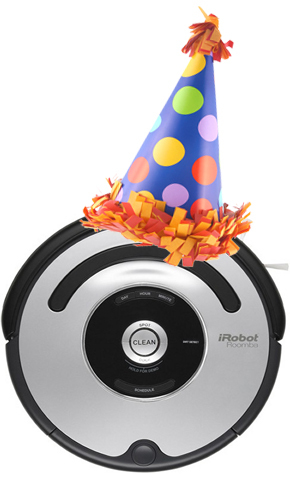 You can celebrate virtually by watching a Packbot music video created by the band Landsdowne and iRobot that shows off the Packbot at work deactivating bombs and such. Entrepreneurship is at home in Silicon Valley—and one of its most fertile breeding grounds is MIT Sloan and its Entrepreneurship and Innovation (E+I) Program. Under the banner “East meets West,” around 90 MIT Sloan E+I Trek students set out to meet entrepreneurs, venture capitalists, alumni, and like-minded students to bring the best of both coasts together Jan. 2-6. The experience was “nothing short of amazing,” as one classmate put it. The response of my classmates who joined the trek could not have been more enthusiastic. Over the course of five days, we bonded as a group, met with the movers and shakers in the valley, got an insight into some of the hottest start-ups, and had enough fun to now face the Boston winter head-on. 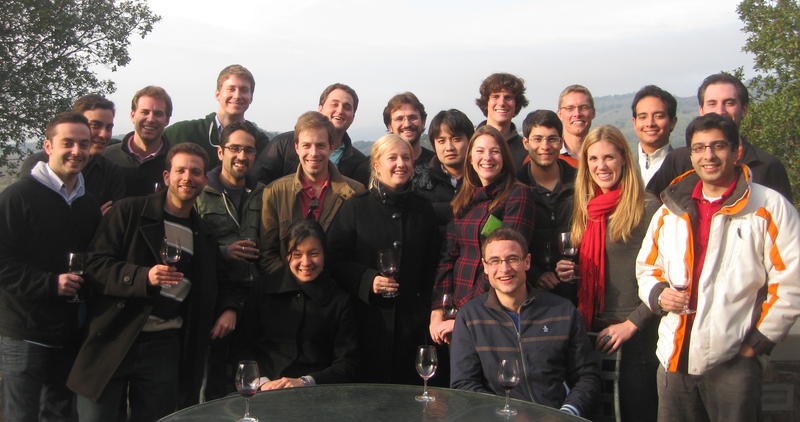 Sloan E+I Trek students celebrate the trek's end in Napa Valley. On a typical day, we would have a VC speaker in the morning, then visit a start-up, have a lunchtime speaker before heading to meet another company. In the evening we had a great alumni event one night and a mixer with Stanford and Cal students on another night. All in all, each student met with six companies. The company visits were in smaller groups of approximately 10 people, giving us the opportunity to get a good insight into industries of interest and ask questions. Personally, I met with friend.ly, a facebook-related dating start-up; content-sharing website digg; naturalpath.com, a sustainable lifestyle blog; C3 Carbon; Intel Capital; and Aardvark, a social search engine. In five of these companies, I got to talk straight to the CEO. Everywhere we went, we were met with great interest and hospitality and all companies were extremely well prepared. I noticed that the Silicon Valley community is very tightly knit and entrepreneurs and venture capitalists all seem to know each other well. While I heard repeatedly that there is an “acceptance of failure” on the west coast, reputation is vital. If you have a blemished reputation, it’s “game over.” Some of the people we met with pointed out that the truly great entrepreneurial ideas tend to come from people in their early twenties and often have foreign-born founders. Sobering news for most of us. The best advice I received was to “apprentice yourself to someone you think is a genius” and discover how to make yourself indispensable. At MIT Sloan, we are two phone calls away from anyone and should take advantage of that opportunity. From left: Drs. Dheera Ananthakrishnan and David Katz in the operating theatre, Queen Elizabeth Central Hospital, Blantyre, Malawi. Every day in the U.S. orthopedic surgeons use basic trauma plates and screws to set and repair fractures in patients’ arms, legs, and other bones. But in the developing world, where this equipment is often not available, a broken arm can mean the difference between a family’s breadwinner being able to work or not. And, because surgeries are infrequent, new doctors can’t be adequately trained. When orthopedic surgeon Dheera Ananthakrishnan ’90 learned from company reps that a surplus of first-generation orthopedic implants sat gathering dust in warehouses, she decided to do something to unite obvious demand with abundant supply. Having studied mechanical engineering at MIT, the logistical problem appealed to Ananthakrishnan. She joined with orthopedist Jim Kercher and his wife, Heather Kercher, both Georgia Tech-trained engineers, to apply supply chain management principles to the problem. Before long, Orthopaedic Link (OL) was born. It’s a nonprofit that uses an online portal to connect idle, usable orthopedic implant surpluses with the surgeons and organizations in the developing world that need them. Dr. Nyengo Mkandawire, the only Malawian-born orthopedic surgeon operating in Malawi today, with a patient who had been treated for four months by a traditional healer for a herniated disc in her low back. She was unable to walk when she came to Queens Hospital. Mkandawire performed surgery on her using supplies delivered by Orthopaedic Link, and just before this picture was taken, they were dancing together! Recipient hospitals and doctors, though, are fully evaluated before they can receive supplies. “We’re trying to find surgeons with a good skill set who are limited mainly by a lack of supplies, in developing countries that are politically stable,” Ananthakrishnan explains. She seeks doctors already providing services for free and who are looking to train other doctors and students. She herself personally visits sites to observe surgeries and understand the needs of a hospital. Ananthakrishnan and her team also follow up with the doctors and patients to gather feedback about the efficacy of the donated equipment. Interested in building a successful high-tech business and meeting people with similar goals? You are welcome to join the MIT Enterprise Forum (MITEF), a global networking organization devoted to building connections between technology entrepreneurs and their communities. 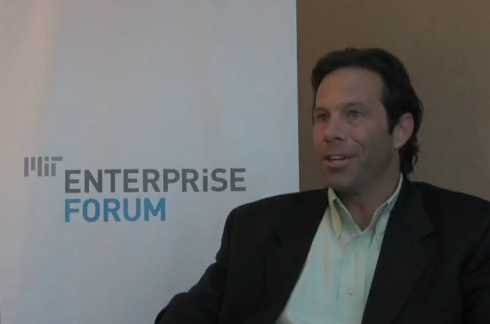 Rich Kivel, MIT Enterprise Forum Global Board. Kivel, CEO of TheraGenetics, a London-based company that develops pharmacogenetic diagnostic tests for disorders such as schizophrenia, depression, and Alzheimer’s, says MITEF events help entrepreneurs realize key goals—meeting and learning from their peers. Events include topical global broadcasts plus 300 gatherings a year offered by 24 chapters worldwide–and you are welcome whether you are an MIT grad or not. MITEF, a program of the MIT Alumni Association, has been nominated for the MIT 150 Exhibit, the MIT Museum’s quest to find and feature the Institute’s most treasured objects and entities for the Institute’s 150th anniversary in 2011. You can comment on the nomination, or any other nominated item, or submit your own—just follow the link on the MITEF Web site. Why do humans retain highly detailed information when they experience catastrophes? 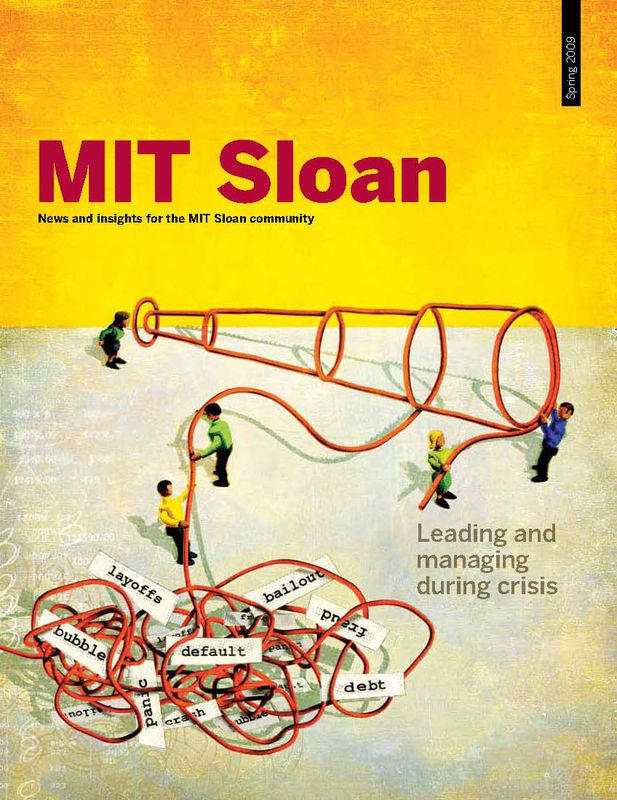 In the MIT Sloan Alumni Magazine, business and organizational leaders reflect on the crises of the past and how the lessons learned may help in today’s troubled times. Meet a U.S. Navy flight surgeon who worked with Blue Angels flight crews then came to MIT Sloan to become an entrepreneur in the medical devices industry. Thanks to an Annual Fund-supported Diversity Fellowship, Malaika Thorne MBA ’09 translated her experience in the developing world into energy and sustainability studies at MIT Sloan. Find out how Sloan influenced Ronald A. Kurtz ’54, who built and diversified a tungsten alloy company, retired and started another company aligned with his passion for photography, and has been an important part of MIT for 59 years. Sujitpan Bao Lamsam SM ’87, born in Thailand then educated in western finance practices, was an the ideal candidate to help lead a Thai bank out of the Asian financial crisis. Collective Intelligence: Can It Save the Planet? Sloan Professor Thomas Malone, director of the Center for Collective Intelligence, addresses the mental models that impede management progress, the role of collective intelligence in solving climate problems, and his view of how wrong people are about what business is for in an online interview. 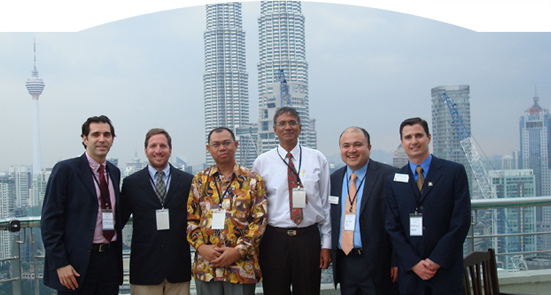 G-LAB in Malaysia : Sloan Fellows, from left, Camilo Syllos MBA ’09, Alberto Gassmann MBA ’09, Victor Yee MBA ’09, and Marcelo Kuhn SM ’09 in Kuala Lumpur, Malaysia, flank two members of their client team. Got a little time to listen and learn? The Sloan School of Management’s podcast series provides glimpses into academic work and campus life. Check out an interview about the Global Entrepreneurship Lab (G-Lab) smartcard project in Kuala Lumpur where the team used their diverse cultural and industry backgrounds to guide their clients to the next level of their smart card business. Listen to the powerful student story of how Kyle Maner MBA ’09 responded to her breast cancer diagnosis.